8 years, a marriage, and 2 kids later, I figure it’s time to rebuild the dusty old hackintosh (and update the blog!). I really only actively used it for a couple years. It’s collected dust in my office, donated to my wife’s workplace, came back into my possession — and sat in my garage. Now it’s time to resurrect it! 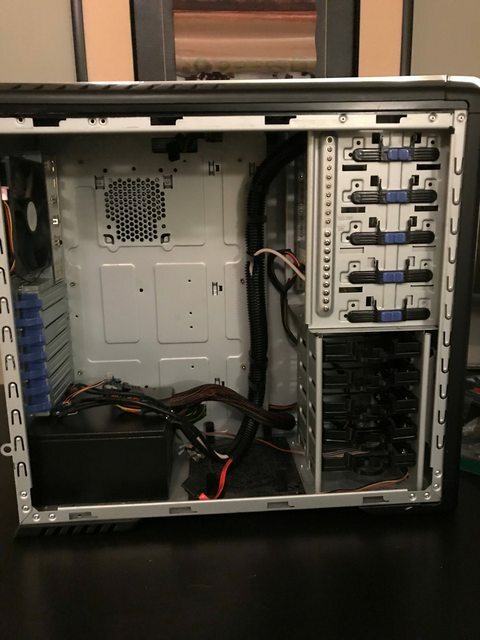 I’ve learned a lot about repairing/building pcs (cable management! ), and the hackintosh community since my first build. Although I honestly haven’t done a full personal build since 2011. 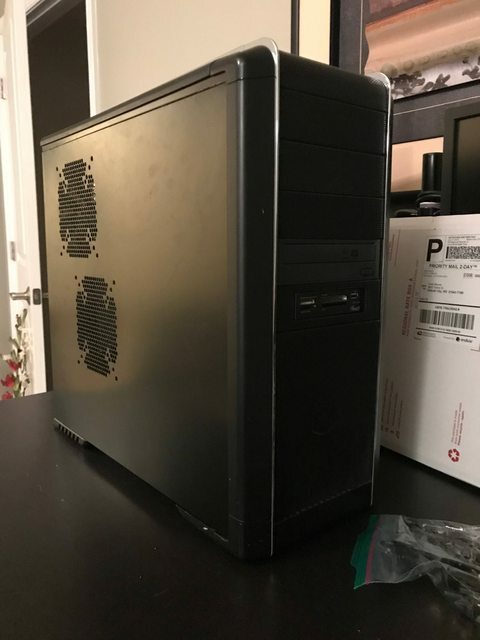 The parts (part) cost me a grand total of $60 on ebay since I had everything but the motherboard either lying around or donated/salvaged. The most costly/important component, the i7-6700 was removed from a flakey, refurbished Dell precision that I had been tasked to repair. I could not properly diagnose the problem so it was donated to me. In my testing, I could say it’s either the cpu or motherboard. Memtest86 RAM test passed after hours & hours of testing. Prime95 was used to stress the cpu to the max – no problems. So I assume it’s something on the motherboard, although I can’t conclusively say it’s *not* the cpu going into the new build. I guess I’ll have to wait & find out.